Opposition to nuclear energy has historically been high among environmentalists. Nuclear waste, the possibility of accidents, and the association with weapons has made nuclear energy an unpopular choice in the traditional green movement. However, signs of change are beginning to show in California, signifying a larger change happening throughout the world. What’s causing this shift is a new generation of environmentalists who believe that climate change is the most pressing environmental issue currently facing humanity, and are aware of the advantages that nuclear offers in this area. They argue the best way to fight climate change is to invest in carbon neutral energy sources, and nuclear power plants are by far the largest and most established green power technology. Earlier this year when the California Public Utilities Commission voted to close California’s only operating nuclear power plant, Diablo Canyon, the president of the Commission stated, “we chart a new energy future by phasing out nuclear power here in California”. Now, some environmentalists are now hoping to bring back nuclear energy to California, as much of the energy capacity lost will soon be replaced by carbon intensive sources like natural gas. Embarking on some of the most ambitious greenhouse gas emissions reductions of any US state, California has pledged to cut its CO2 emissions to 40% below 1990 levels by 2030. In order to meet these goals, large amounts of wind and solar energy are coming online as fossil fuel plants are retiring. Emissions have been declining over recent years, but not nearly enough to meet their goals. It’s becoming increasingly clear that in order to cut emissions, nuclear energy must play a role in the state’s future. 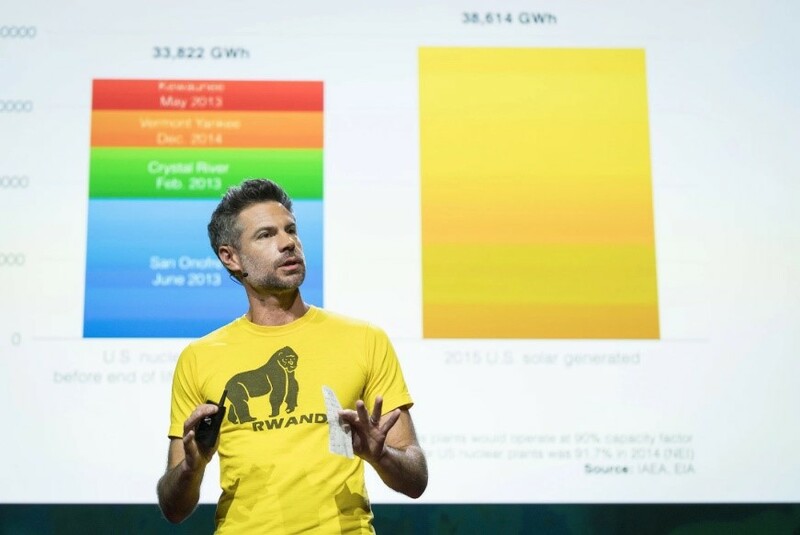 At the front of the pro-nuclear movement is Michael Shellenberger, an energetic environmentalist running to be the next Governor of California. He believes California needs nuclear energy to meet its emission goals and has incorporated it into his campaign platform. Shellenberger started his career as an anti-nuclear activist in the 90’s, but like many other environmentalists reconsidered the risks and rewards in light of sharply rising CO2 levels in the atmosphere. He even gave a Talk at TEDxBerlin in 2017 where he makes this argument. Shellenberger’s run for Governor as a third-party candidate is a longshot, yet it embodies the dramatic shift taking place among environmentalists. A candidate supporting nuclear energy as a key part of their platform sends a message to environmentalists in the US and across the world: we must work together to address climate change. Nuclear energy supporters and environmentalists are banding together to support existing nuclear power plants and are calling for more to address growing energy demands. Groups that have historically been opposed to one another are increasingly finding themselves partners in a race to take action on an issue that impacts everyone.